Welcome to Fiona Stanley News, Gifts and Lottery! Come in and browse through our huge range of magazines, books, cards and gifts. Catch-up on the latest news from our daily newspapers and the juiciest gossip from our magazines. We also have novels to satisfy those who need a good book. Looking for the perfect card? 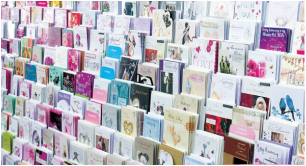 Come in and have a look at our extensive range of cards. They are guaranteed to warm your heart and bring a smile to your face. We also stock a wide range of gifts including photo frames, gift candles, mugs, jigsaw puzzles and baby essentials. Come in and have a look, you will not be disappointed! We offer a range of confectionary, snacks and drinks for those who need a quick bite on the go. Freshen up using our range of toiletries and if you are feeling under the weather we also have various medications too. Want a bit of excitement and help the community as well? Then come in and get a lottery ticket or a scratchie. You can find us at Fiona Stanley Hospital at the main hospital building just opposite Jamaica Blue.